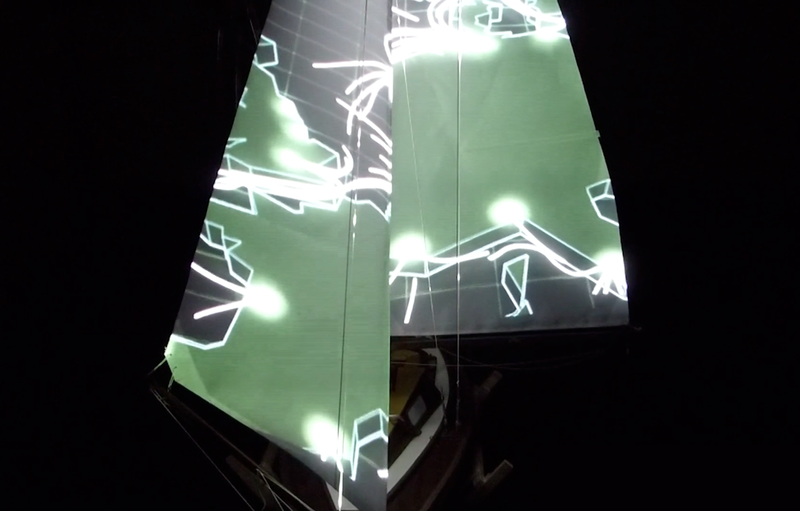 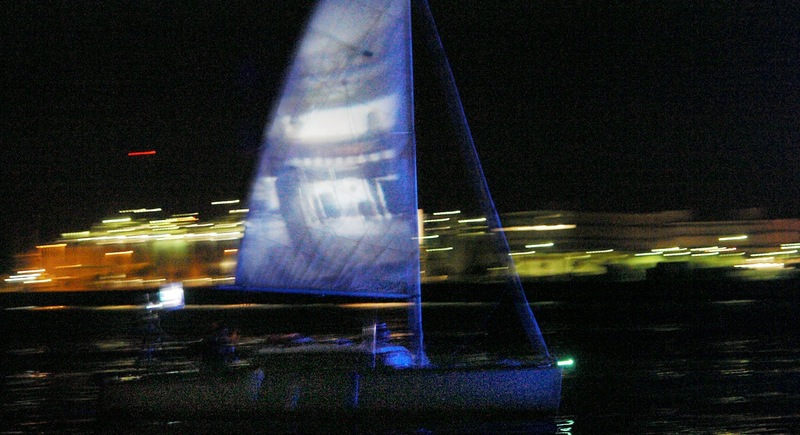 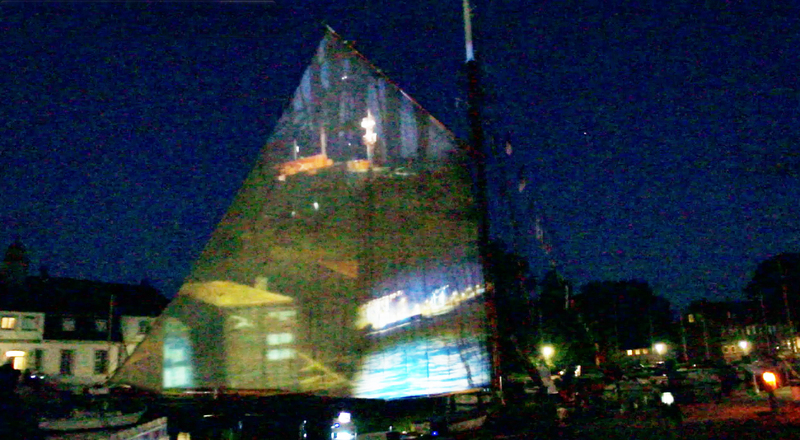 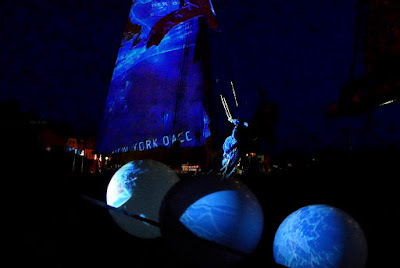 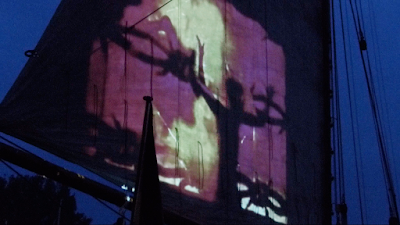 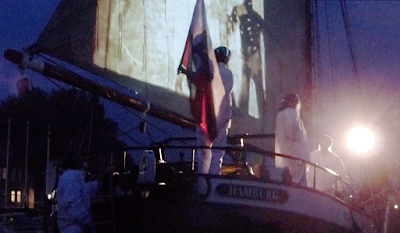 P.AU.LA can be an audiovisual perfomance when it is set up as a sailboat drifting down the harbour sites of global cities like Hamburg or Rotterdam. 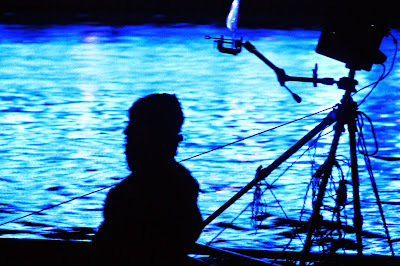 P.AU.LA can also be an audiovisual installation in a gallery as part of a multinational art show. 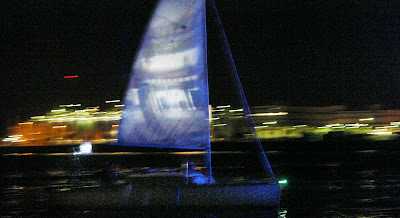 The sails of the boat are used as a video screen. 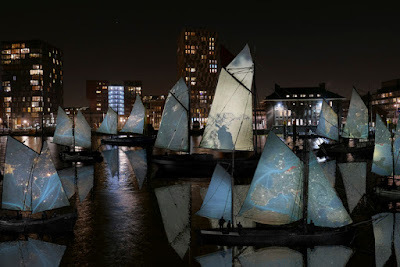 Thus, it connects the place where it is shown with the present age of hypermodernism; at the same time the boat as a traditional carrier of equipment connects with earlier forms of globalisation.